MULLET RECORDS • APRIL NEWSLETTER – TOO MUCH TO MENTION!! 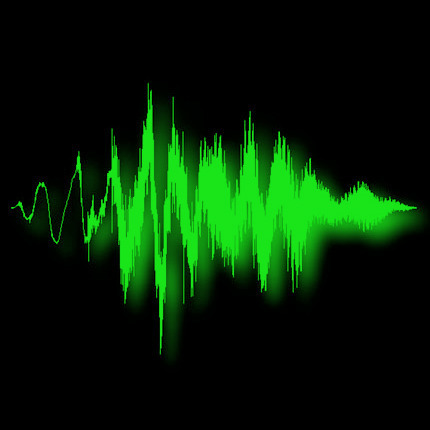 Hey peeps… it’s time to keep ya’ll updated on all the recent Mullet Records news, so here goes, we’ve got sooo much to tell ya!! Mullet Records are very proud to announce that we are 50 releases young… yes, can you believe that we’re up to our 50th release already and we’re celebrating it by releasing a gargantuan 8 track EP by our latest signings ‘Bastian’s Happy Flight‘. 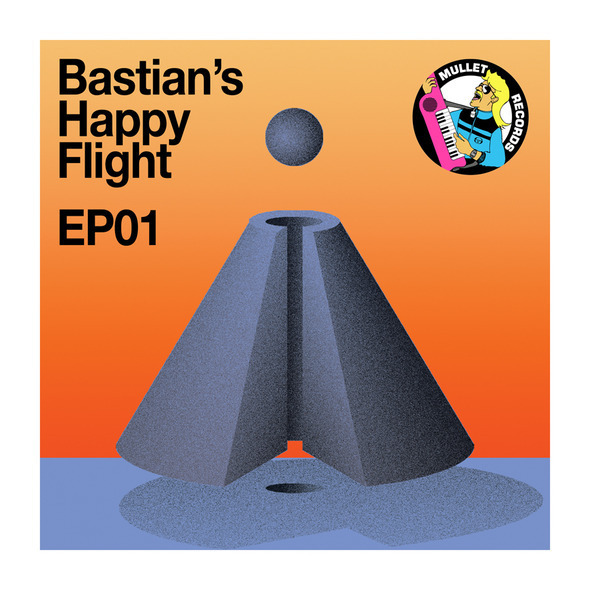 Bastian’s Happy Flight are a really cool Nu-Disco band from Perth, that are being compared to bands such as Cut Copy, Friendly Fires and Mullet’s very own Tesla Boy. The Bastian’s Happy Flight boys make really fresh and exciting Nu-Disco, so please check ’em out and help put them on the Disco map! This release also comes complete with dj friendly Dublin Aunts & Casio Social Club mixes too, eeek! 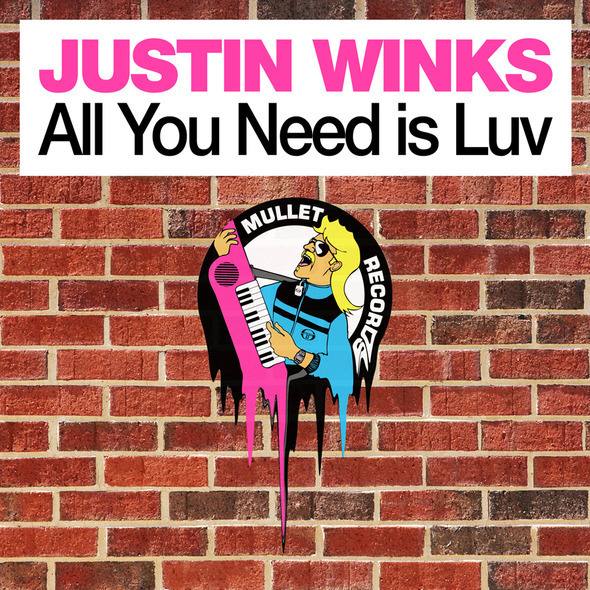 Mullet label boss Justin Winks breaks away from his beloved Casio Social Club boogie-boy alias and drops his first official solo single. All You Need is Luv is a female vocal, early 90s Disco House inspired floor-filler, that’ll have you singing to the rafters. This 4 track EP also comes with two cool deep ‘n dark dubs, that would happily accompany any MK/ George Morel style US House set. Yep, you heard right, DATO are back once again to delight us with their incredible falsetto Disco soul. Letting Go follows on from their recent ‘Bangkok‘ Mullet hit, and fans of DATO’s trademark sounds won’t be disappointed as it’s uplifting DATO vibes all the way. This one’s been getting huge Dj support from the likes of Graeme Park, Faze Action, Tad Wily, Chordashian, Mark Knight and Elijah Collins. Casio Social Club recently recorded this fabbo one hour mixtape that consists purely of Casio Social Club productions and remixes. This Dj mix features some of Casio Social Club’s finest productions and also their Tad Wily, Satin Jackets, Baxter, Drop Out Orchestra, DATO and Tesla Boy remixes too! So what you waiting for… get listening and downloading this Boogie Scratch-tastic mixtape. 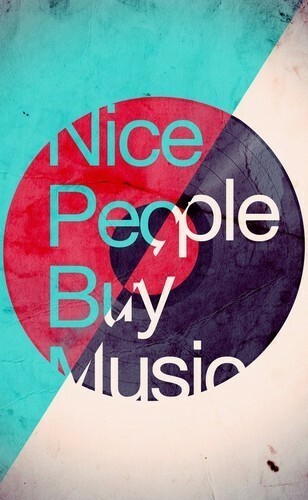 AND FINALLY • NICE PEOPLE BUY MUSIC! We recently noticed lots of people ‘liking’ and using this image as their Facebook profile pic and as a record label we couldn’t agree more.